Belgrade is a capital of art and history. During centuries we made our cultural heritage recognizable. 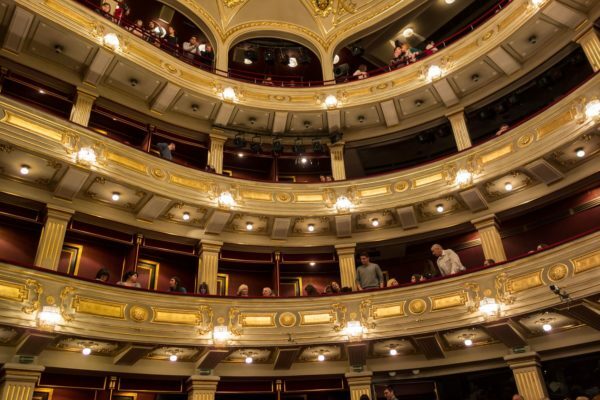 In Belgrade, where our most notable artists create, are held annually over 11,000 theatrical performances, exhibitions, concerts, performances and other artistic programs are presented by prominent authors in the world of art. Belgrade is the seat of the highest state and national institutions of culture and art: Serbian Academy of Arts and Sciences, the National Library of Serbia, the National Museum, the National Theater and the University of Arts. In Belgrade you will find the most significant works of architecture, Kalemegdan – Belgrade Fortress, cultural monuments and other immovable cultural good, many archaeological sites with residues that witness to the developed civilization and culture on Belgrade soil from prehistoric times till today. City of Belgrade is founder of 30 cultural institutions (12 theaters, 8 institutions for protection, 4 libraries, 6 cultural centers and galleries). City of Belgrade is the founder of 11 cultural events (FEST, BITEF, BEMUS, BELEF, International Competition of Music Youth, Festival of Documentary and Short film, October Salon, Joy of Europe, Belgrade Book Fair, Sopot Film Festival, Belgrade Jazz Festival) but also support 69 cultural events that take place in our capital. 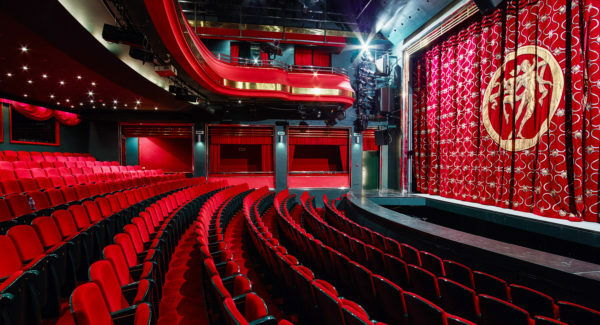 In our blogs, we written a lot about art in our capital, and today we will tell you more about Theaters in Belgrade. Founded in the later half of the 19th century, it is located on the Republic Square, at the corner of Vasina and Francuska Street. 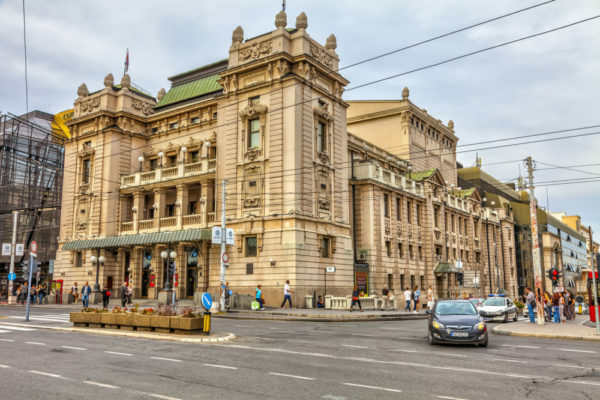 In 1868, National Theater in Belgrade was founded. Belgrade, which was only one step on the path of its development in that moment, back in 1968 there were three faculties, one full and one incomplete high school, higher school for women, National Library, National Museum, National Reading Room, First singing society, the State printing office, and that was a time for first emancipated theater. It had 2 stages, and you could see performances of drama, opera and ballet acts. Pozoriste na Terazijama which on local language means Theater in the Terazije Street, is the only musical theater in the region It was established on 23 December 1949. In the first twenty years of existence, the repertoire consisted of operettas and comedies, and in 60-ies of the last century they performed first licensed musicals: “Oklahoma” (1966), “West Side Story” (1968) and “Kiss Me, Kate” (1969). After more than 280 premieres, Terazije today is positioned as an authentic cultural institution whose performances annually host more than 80 000 visitors. Their repertoire consists of great Broadway musicals and domestic musicals as well: “The Phantom of the Opera,” “Mamma Mia!” “Chicago,” “Sweet Charity,” “The Producers,” “Victor Victoria”, “Cigani lete u nebo”, “Some Like it hot, “,” Zona Zamfirova “,” Glavo luda”,” Zorba the Greek “… After the reconstruction (2005), in technical and physical terms, is considered as the most modern theater in this part of Europe. Constantly improving the performing standards, with each subsequent season, becoming not only more ambitious repertoire, but also is increasingly valued by our cultural public as a theatrical institution of high potential and relevant artistic achievements. In the last ten years as one of its programming strategy, “ Terazije “ implemented a training program for its artistic staff, in cooperation with the magazine “Orchestra” and the American school “The Jacob’s Pillow. Theater “ Jugoslovensko Dramsko Pozoriste “ was founded in 1947 as the representative theater of new Yugoslavia. Actors from Zagreb, Novi Sad, Sarajevo, Split, Ljubljana and other cities were invited to perform there. The first performance was played back in the 3rd April 1948, and it was a piece of Ivan Cankar, “Kralj Betajnove”, directed by Bojan Stupica (Famous Yugoslav artists). The first couple of seasons were displaying the world’s classics: Chekhov, Goldoni, Sheridan, Ostrovsky, Lope de Vega, Gorki, Shaw, Shakespeare, Plaut, Racine, Moliere, Ibsen, Lorca, and national classics as well: Cankar, Drzic, Sterija, Jaksic and Nusic. Theater was burned to the ground on 17th October 1997., apparently due to an error in the installation. The theater was rebuilt; a large scene is re-opened on 23rd May 2003. The same year was opened the third scene of theater, Studio JDP, as an experimental stage for young artists. 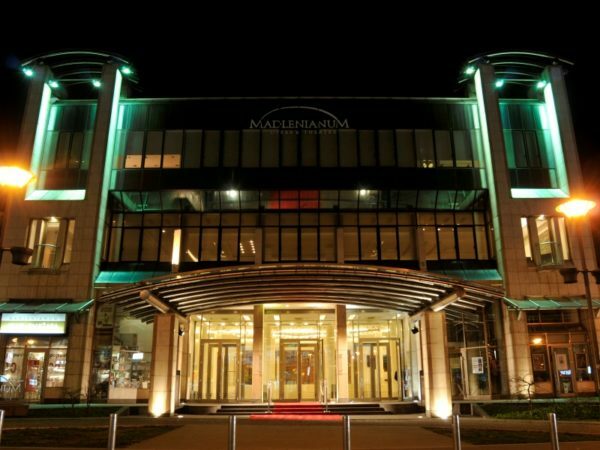 Opera and Theater Madlenianum was founded in 1998, as the first private opera in this part of Europe. Founder and donor is Mrs. Madlena Zepter, whose investment in culture represents the largest contemporary art patronage in this area, not only in our country but also in the European scale. MADLENIANUM is organized as a model of a new stage for musical theater in our country without its own ensemble but with a permanent organization and administration apparatus and the technical team.